These blogs were initially pitched to me as an “effort to become more timely and creative in responding to evolving events in the world.” The idea is for contributors to circumvent time-consuming publication schedules and try to get right to the heart of current issues while events are fresh and there may still be opportunities for prefiguration. There is also an ambition to extend the boundaries of radical geography and scholarly publishing in the process. This feels like a worthwhile thing to be doing at what is certainly a remarkable moment in time. My fellow contributors are commenting on some of the big issues unfolding as we speak—climate and economic crises, global social unrest and protest, and myriad political struggles that cut across scale. They are describing a particular configuration of events that might have been unthinkable a few short years ago. While the abruptness of the present conjuncture makes it all the more exhilarating, I feel like the speed of change also presents particular challenges to those of us who attempt to make sense of the world. For one thing, existing frameworks might simply fail to adequately describe these new—if not still emerging—social and spatial formations. As a scholar of everyday life, I am reminded of Henri Lefebvre’s constant insistence that abstract concepts always lag behind what is concretely lived as well as what is what is socially and politically possible. Looking at new phenomena through old analytics can serve to reify and reinforce hegemony while in lived practice there may still be countless openings, contingencies, and opportunities. At the same time, there is a necessary urgency in trying to describe emergent conditions—what Raymond Williams might call “structures of feeling”—before they are fully available to theory. The challenge is to ignite imagination and struggle before the vital spark of difference in the moment is crushed, subsumed, or erased. I have a lot of trepidation about my ability to successfully navigate this challenge in these blogs. In an effort to negotiate some of these tensions I am going to try to piece together a sort of “view from below”, or, a series of views from the perspective of the often overlooked, marginalized, and unexceptional corners of concrete experience. The idea is that each post will take some artefact of contemporary life as a starting point – could be a story, an experience, an object, a biography, whatever – and try to understand some of the questions and opportunities that it implies for geography and for political action and social justice more broadly. If part of the challenge of speaking to the contemporary moment is that we can’t quite be sure what we are looking at yet, I imagine this as a way to try and sound out some preliminary contours and triangulate from different positions. Hopefully this approach will do justice to the idea (articulated differently by Donna Haraway  and Paul Farmer , and celebrated by numerous geographers including Andy Merrifield  and Rich Heyman ) that new forms of situated knowledge might emerge, as Haraway puts it, from “below the brilliant space platforms of the powerful”, from “the peripheries and the depths”, to influence future praxis. To speak of a view from below does not necessarily mean that I claim the standpoint of the subjugated. As much as anything else I want to venture ideas that are knowingly partial, halting, vulnerable, marginal, and speculative (in this there are echoes of Katz ) and try to focus on issues where there is something at stake that may be overlooked precisely on account of these qualities. Crucially, I can’t do this alone. I am just one guy with a narrow little frame. I openly invite others to contribute to this space—to take advantage of this open form and truly extend some boundaries by helping to construct a compound view. If you have an idea for a post, a perspective that you would like to contribute, or any other thoughts please get in touch! 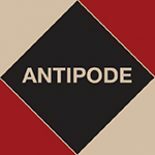 This entry was posted on 12 January 2012 by Antipode Editorial Office in News and tagged everyday life, perspective, positionality, situated knowledge, standpoints, view from below.